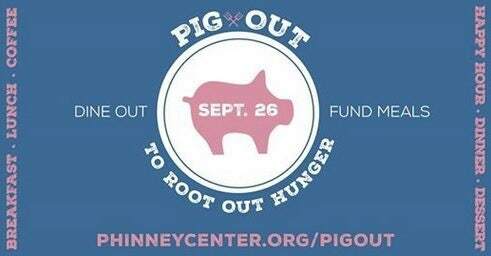 Bring your friends, family and a healthy appetite to participating Phinney-Greenwood restaurants, pubs, and cafes all day on Wednesday, Sept. 26 to help your neighbors in need. Pig Out is a neighborhood fundraising event for the PNA’s Hot Meal Program. Participating businesses donate a portion of their day’s proceeds to help fund three free, nutritious meals every week at the Greenwood Senior Center and St. John United Lutheran Church. The program serves over 16,000 meals a year to low-income, unhoused, disabled, and elderly community members.